SHIFTboston blog» Blog Archive » Lighter than Air Featured on the Discovery Channel! Lighter than Air Featured on the Discovery Channel! 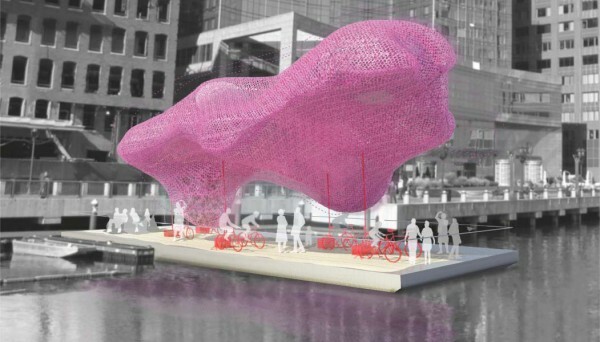 Congratulations to Rachely Rotem and Phu Hoang of MODU – designers of the winning entry to the 2011 SHIFTboston Barge Competition. Their design has been featured on the November 9th Daily Planet show on the Discovery Channel. Lighter Than Air will begin the installation process in 2013.